Kitec Plumbing – Is It A Deal Breaker? Kitec Plumbing has quickly been pushed into the “trigger word” category in real estate, having the potential to be a deal breaker. Current list of trigger words include: UFFI, Fuses, Aluminum wiring, Knob & Tube wiring, asbestos, lead or galvanized pipes and mould. Home buyers and sellers have become aware of these, but with Kitec, most of the “victims” of misinformation are condo owners and buyers. 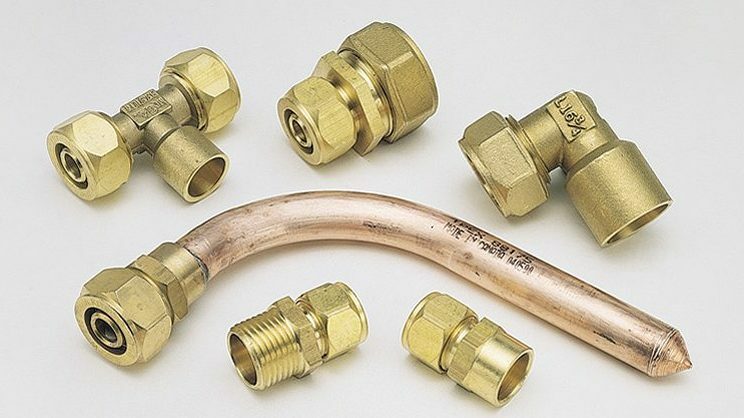 Kitec was the first version of plastic plumbing (known as PEX) that replaced copper for hot/cold water supply and radiant heating. Kitec was made by IPEX Inc between 1995 and 2007. If your home or condo was built between 1995 and 2007, it likely has Kitec. At that time, it was acceptable to building standards and less expensive. Kitec has been found to fail, most commonly at the fittings. The problem is that the fittings disconnect and allow larger amounts of water to gush out. The failure rate is very low, but the damage has proven much more costly than previous copper pin-hole leaks. Cue insurance companies. Insurance companies are the reason Kitec is getting replaced. They have recently started to refuse covering both condo owners and entire condo buildings with Kitec and they will not renew insurance policies. As a result, many buildings are in the midst of replacing the Kitec or obtaining quotes from contractors. In most cases, individual owners are responsible for the replacement costs. In some cases, individual owners may hire their own contractors. The work must be inspected before drywall is replaced. Carson Dunlop has sound advice on Kitec. Suggesting to identify if you have it, and if so, register with the Class action lawsuit, and to monitor the issue while keeping an eye out for corrosion on the fittings or black spots/blisters on the pipe. The Real Estate Council of Ontario (RECO) has included Kitec plumbing to the list of Material Facts that realtors are required to take reasonable steps to discover and disclose. 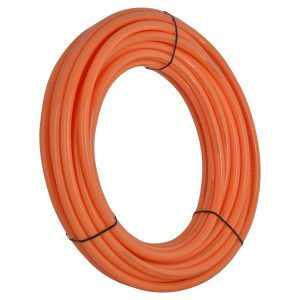 Most Kitec plumbing can be identified by it’s bright orange (hot water) and bright blue (cold water) pipes, which were the most common colours; however, it was also sold in red, blue, gray and black. The pipe is typically marked with one of the following brand names; Kitec, PlumbBetter, IPEX AQUA, WarmRite, Kitec XPA, AmbioComfort, XPA, KERR Controls or Plomberie Améliorée. If fittings are visible, look for Kitec or KTC stamped on them. The terms CSA B137.9/10 or ATSM F1974 could also indicate a Kitec system. With many of Toronto condominiums being built in the early 2000s, Kitec has become an issue. In some cases, we’ve found that owners who proactively hire a plumber and painter (for drywall repairs) themselves have saved money. Home inspectors will say that the perfect home or condo doesn’t exist, but the possibility of informed buyers and sellers does. If you’re thinking of selling, it’s our advice to seek expert advice from an expert plumber, and possibly replace Kitec before you sell, as sadly, with the current climate, a buyer will over estimate the cost and will also have trouble securing insurance they are satisfied with, or may walk away entirely. There is also a settlement for anyone who has owned a home that, at any time, contained kitec plumbing systems. To find more information about making your claim, visit https://www.cbc.ca/news/canada/nova-scotia/class-action-settlement-kitec-plumbing-1.4971290. If you’re buying, don’t shy away from buildings with Kitec, just be informed and prepared. For more information, visit http://www.reco.on.ca/professionals-news/more-information-on-kitec-plumbing/. The views and opinions expressed in this article are those of the author and do not necessarily reflect the views and opinions of any entity whatsoever.